Understand once and for all that no matter your texture if you have Afro hair your hair is curly. The reason your hair can form an Afro is because of the coils of your individual hair strands. So stop believing that your hair has no curl pattern, just because it does not curl the way you classify as curly. Change your mindset change your journey! Hair is either, straight, wavy or curly. If your hair is tightly coily it is still curly. A coil is a curl. Your hair shrinks doesn't it? Right! Your hair shrinks because it curls up, it is not shrinking because it is straight. If you look at Afro hair really closely your will see the coils of the strands. You may not like your curl pattern but do not say it does not exist. Hydration is the key to finding your true curl pattern! Do not judge your curl pattern until you have been on a good hair care regimen for 3 months or more. Why? Because many times your hair is not acting right, because it is dehydrated. Spend time on a hair care regimen which hydrates and nourishes your hair strands and you will see your true curl pattern come alive. A. Hair Coiling Technique. Train your hair to form coils. Afro hair can form just about any shape you can think of, look at the wide variety of styles we can do with our hair. The more you style Afro hair a certain way, the better your hair holds that form. This technique works best on those with hair 6 inches or shorter. This technique is great for those with short Afros. At bedtime, apply leave in conditioner and a little gel if you need the extra hold. Section hair into 3 inch boxes, with your fingers twirl your hair into a coil. Your coils should look like a neat tube. Coil your hair in the direction you want your style to flow. If you want a part go ahead and create a part before you start coiling. 2. Cover with a plastic conditioning cap, then tie down with a scarf. 3. First thing in the morning remove plastic cap and scarf so hair can dry if it is damp. 4. When you are ready to style, apply a nourishing oil to your hair and using your fingers gently pull your coils apart. 5. You should notice more curl definition. This technique works better each time you do it, so you want to do your coils back to back. By the third day of using this technique you should start to see awesome curl definition on your TWA. Your hair will remember the pattern in which you are coiling it each night. Afro hair is amazing!!!!!!! B. Mineral clays for cleansing and conditioning. Replace your shampoo with mineral clay when it is time to cleanse your hair. The best ones are Bentonite clay and Moroccan red clay. These are powdered mineral clays you mix with apple cider vinegar or aloe vera gel, and cleanse your hair and scalp. Mineral clays detox your hair and scalp and leave your coils soft, moisturized and more defined than conditioner or shampoo ever can. Find out more about cleansing with clays here. Moroccan red clay mixed and ready to apply! 4C hair which has been cleansed using a clay wash, with no additional product added yet. Hair is damp but not soaking wet. Set your hair with a little gel or curling jelly. These types of products help to freeze your coils in place so your styles last longer. Sides and top of hair - My roots still look like an undefined afro (from roots to aout an inch out) and the rest is curly. The back, from nape to almost top looks defined from roots. 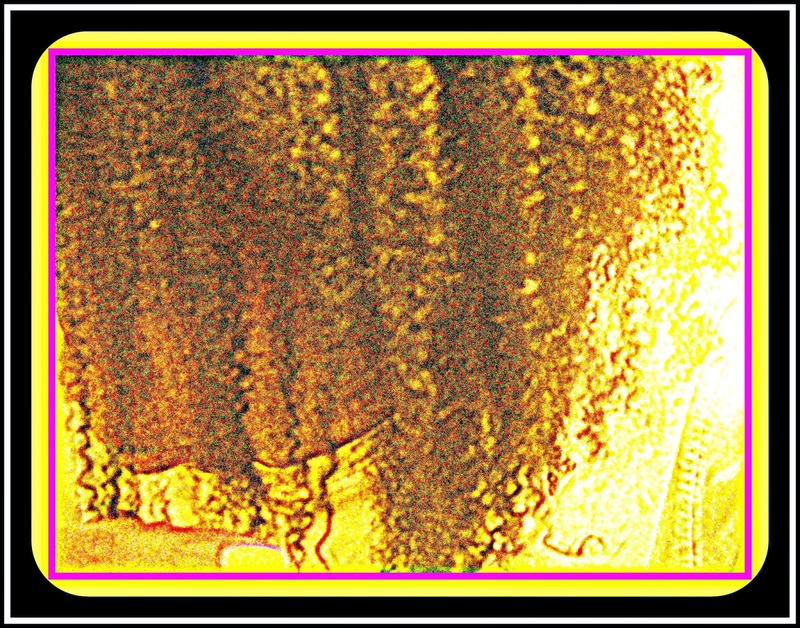 I have low porosity hair, been natural for 7 yrs, pressed consistenntly over 6 and over the past year, pressed 3 times. What can i try to get the roots defined. Curls are more pronounced the more hydrated they are. So follow the recommendation written in the article up top. Start with your hydration because that is most important.